I've written several novels now and lots of short stories. I am a strong believer in writing about what you know. Or at least, taking inspiration from your life and your adventures to influence your writing. My first novel was set in an office, and though I like that novel, it was not the kind of thing I wanted to write. Since then I've been trying to make my life more interesting so my writing has a little more adventure to it. You can read lots of my work below: if you do, please let me know via your favourite social media todoings. And if you're a publisher or agent then please get in touch. Happy reading. Check out this great interview with Jessica Marie Baumgartner - it's fun. If you are a writer, travel blogger or anything else vaguely interesting and would like to be interviewed on Twitter then get in touch. Turn up the Steam - Short story, well super short story really - just something I blasted out, as you do. Tia - bit sad this one, if you make it to the end without a tear in your eyes you're basically dead inside. Move – a bitter-sweet tale of a boy losing his mum and perhaps gaining a superpower. The Hunting Analyst – the dark comic story of a man dealing with a mid-life crisis. Life Coach – More midlife crisis stuff; I love this story, it ends well. Scout Troop – a sort of horror story, more amazing than scary. I like this story a lot! Collecting Memories – This is a sweet story I wrote for my other half one anniversary. Video Game Hookers – watch out for the overuse of the word hookers – the lad in the story only knows this one word for them. Confusional Language – nice little tale about a keen hypnotist. George the Cat's First Christmas – a sweetly comic tale about a kitten's first Christmas. If you would like to perform one of these plays email here. Benefits – a dark comedy about the day in the life of a job centre. Stem the Decline: (one act, ten minute ish, play). It’s 2017 and the Prime Minister has put three of the brightest minds in a room and told them, with the help of Twitter, to solve the world population explosion. The play requires basic staging (a table, perhaps) and it would benefit from a projector and screen but this could be omitted. The story is dark and hopefully comic. School, university, job, car, career, mortgage, marriage, children, grandchildren, retirement and….! Escape the Race follows three very different thirty-somethings who decide to take a break from the expected and volunteer to teach English to hill-tribe children at the top of a Thai mountain. Kate, a successful accountant, straight-laced and used to the finer things hopes that a year volunteering will add substance and excitement to her stayed existence. After years in a reformation camp to cure him of his homosexuality, Dillon escapes his new wife, the preaching and the electroshock therapy in the hope of finding out which side of the fence he actually sits on. Divorced from a cheating wife and sick of living back at home with his parents, Keith just had to get away. Get away and go wild! Add drink, tropical heat and a huge amount of moral ambiguity and dark comedy ensues. 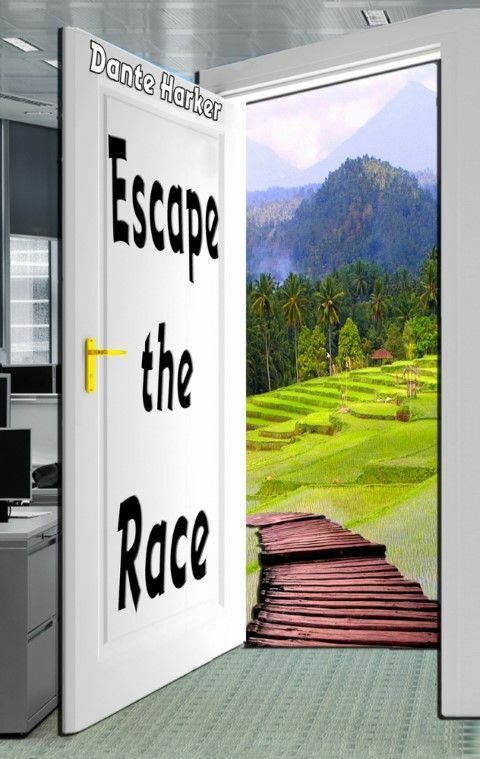 Escape the Race sees three people doing the unexpected and having experiences they’ll never forget. It's a whole new world. It's not easy being gay. Well it can be, with practice and that's all Jake needs. Read his fun adventure here. After you buy the book of course, I'm not a charity. Much too gory for most This book is what happens when you trap someone on a desert island for a year. Yes it's dark, really, really dark and it's too much for all but the most avid horror reader. Enjoy. A little dark but mostly fun This is a collection of short stories, each one showing you a fun way to break one of the Ten Commandments. A New Dawn is my favourite, which is yours? Answers on a postcard, or failing that you can use the contact link above.